The Windsor Terrace Greenmarket was more crowded than usual this morning. I assume it’s due to te impending arrival of Hurricane/Tropical Storm/Frankenstorm Sandy; people are stocking up on everything, including fresh vegetables. Hey, whatever gets more business to the Farmer’s Market is a good thing, I’d say. 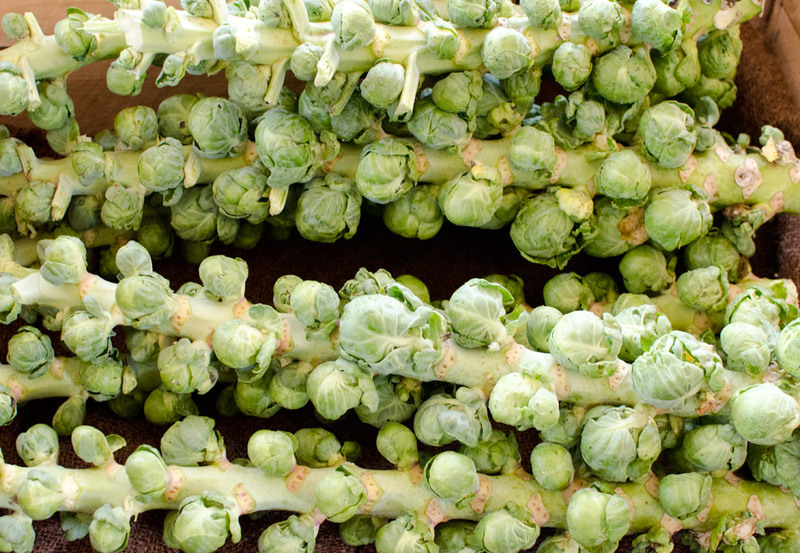 I decided to feature these Brussels sprouts on the stalk, because most people don’t realize that this is how they grow. There’s not really any difference in the flavor or anything, but when you’re buying fresh veggies you’re looking for something that has been touched as little as possible. That means carrots with the tops still attached; peas still in the pod; Brussels sprouts still on the stalk. Plus they look very dramatic.